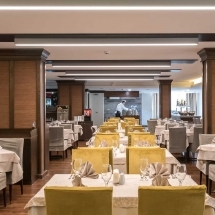 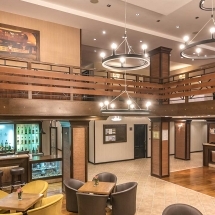 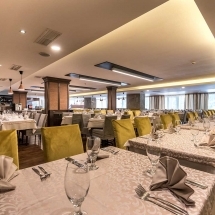 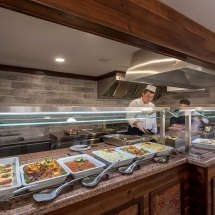 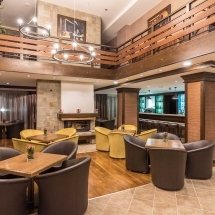 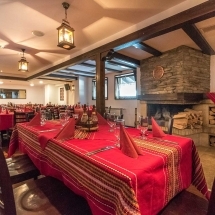 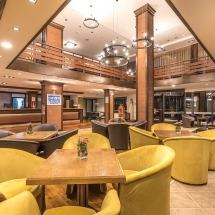 The main restaurant has 200 – 220 seats and offers European cuisine as well as traditional Bulgarian meals. 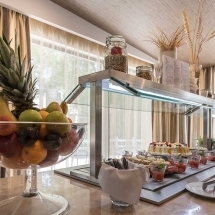 Working hours: 7.30 a.m. – 11.00 p.m. Breakfast: 7.30 a.m. – 10.00 a.m. 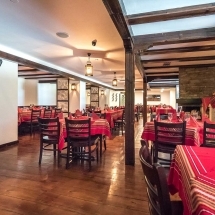 The Mehana has 80 seats and offers exclusively traditional Bulgarian specialties. 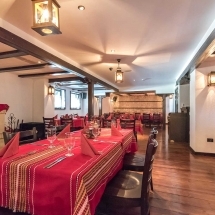 Working hours: 5.00 p.m. – 12.00 a.m. 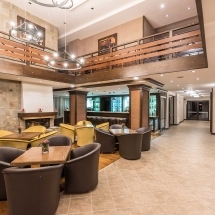 The Lobby Bar is on two levels with fireplaces and has a very cosy atmosphere, offering a fine selection of wines, cocktails and other hot or cold drinks. 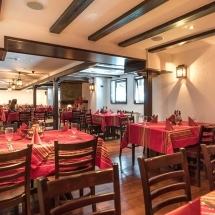 Working hours: 7.30 a.m. – 11.00 p.m.